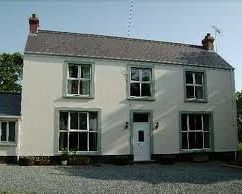 Stay and explore beautiful Pembrokeshire from the comfort of Rosehill Farmhouse B&B or cosy Nook Cottage; ideal for 2. If you want good breakfasts, countryside seclusion with easy accessibility to the coastline, riverways, good places to eat and the attractions of N. & S. Pembrokeshire; see our 4* accommodation with views of our farm with livestock from our comfortable ensuite bedrooms. Visit Pembroke Dock/Doc Penfro Pembrokeshire and the surrounding villages and stay in bed breakfast, hotel or holiday cottage accommodation provided by BedPosts members. Historically it was a haven for Vikings, most famously Hubba. From 1957 the prosperity of the town declined when the RAF reduced its presence and the last British Army regiment went. Prosperity increased again with the opening of the oil refineries and an oil-fired power station. Today the town struggles economically. If you seek accommodation near Pembroke Dock/Doc Penfro in Pembrokeshire you have come to the website of a “club” of providers who offer affordable quality accommodation around UK in hotels, bed and breakfasts, guesthouses, inns, and restaurants plus self-catering cottages and apartments .